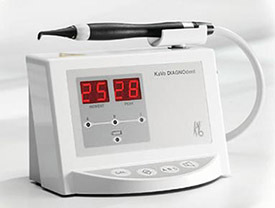 DIAGNOdent laserDIAGNOdent is comfortable and takes only a few short minutes to scan your entire mouth for cavities and decay. Detecting tooth decay as early as possible helps eliminate the number of costly treatments that you may need down the line and helps treat small problems before they become serious dental cases. DIAGNOdent toolWith the widespread use of fluoride, many of these cavities never make it to the tooth’s surface, and instead begin eating away at the tooth from the inside out. 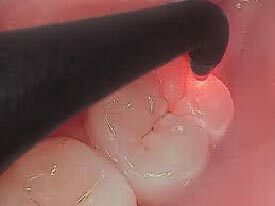 The DIAGNOdent laser helps locate these small areas of decay.